C/W 10 chokes ported barrels aluminium case 2 spare triggers. An interesting gun made for Admiral Hobart Seymour. During the Boxer Rebellion, he led an expedition of 2,000 sailors and marines from Western and Japanese warships to relieve the diplomatic legations in Peking. SLIGHT SCRATCH TO THE STOCK OF THIS VERY LITTLE USED GUN. ACTION IS TIGHT. TAPERED RIB. 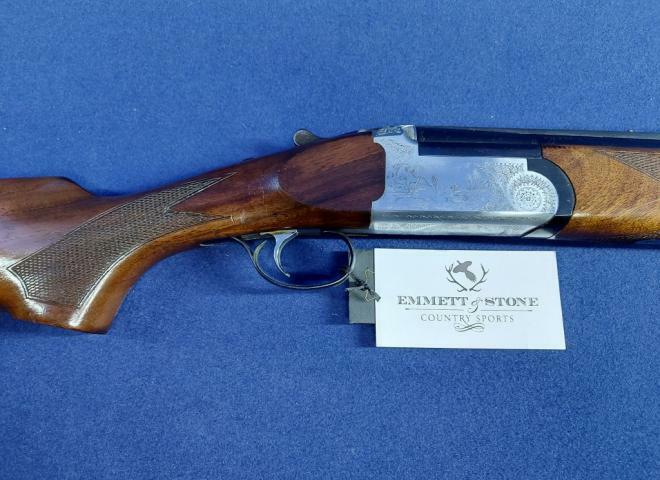 Beautiful little gun with solid top rib and case colour hardened round action. Fantastic handling game gun. 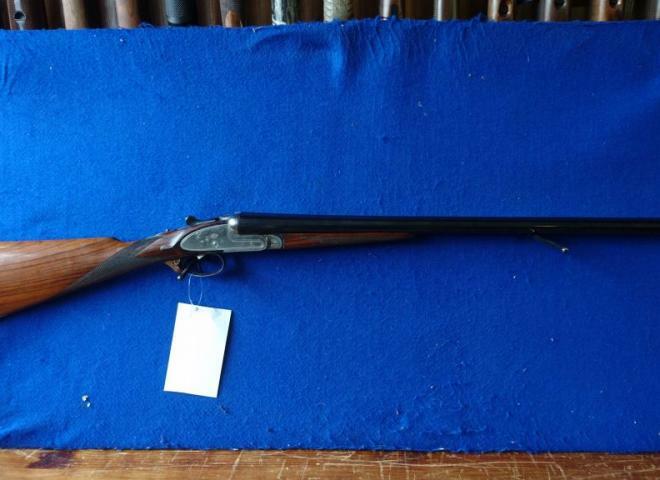 This gun is in excellent condition and benefits from a flawless , well grained oil finished stock . 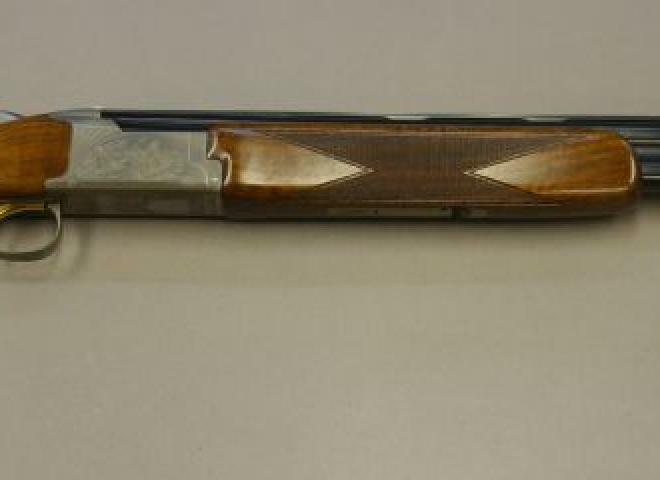 The Model BR440 is the peak of the Rizzini competition shotguns. A stunning Boswell finest box lock in immaculate condition. 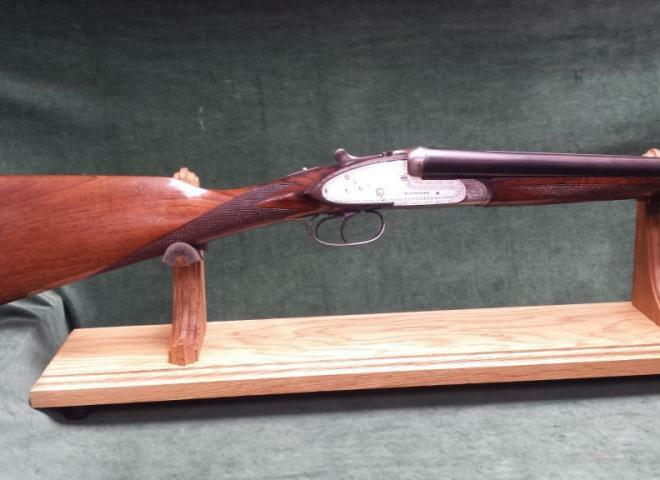 This wonderful game gun has beautiful timber and all the bluing is in first class condition. This gun can be inspected at a dealer of your choice. 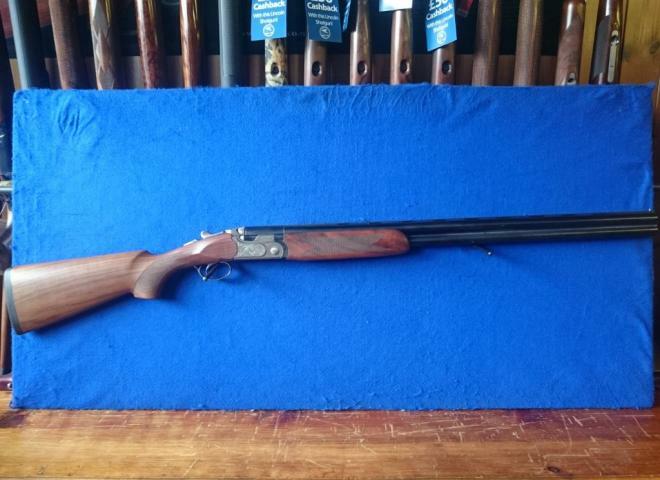 The Gun Room offers you the opportunity to purchase, a second hand Browning D5G, game gun with 27.5" barrels choked 1/4 and 1/2, straight hand roach belly stock, "in totally stunning condition", with lovely figured timber. The Fabarm Elos Deluxe has a very nice semi-round bodied action with scroll and game engraving along with a single selective trigger with auto safety. The 28" barrels have a 7mm wide tapered and ventilated top rib with single bead sight. 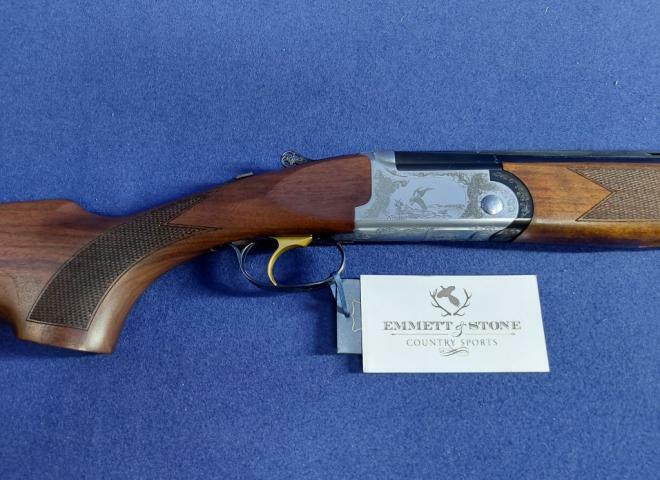 NEW....Invictus V Ascent Sporter from Caesar Guerini.......This latest version of this 'one million rounds' designed gun is fitted with beautifully hand engraved sideplates. 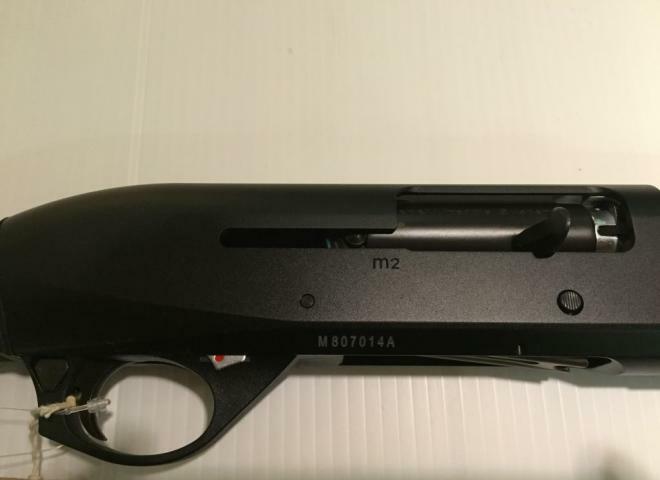 7+1 Section1 Benelli ideal PSG gun top quality extended mag releases bolt handles longer extended tubes all available to order. One of the most popular and reliable PSG guns. 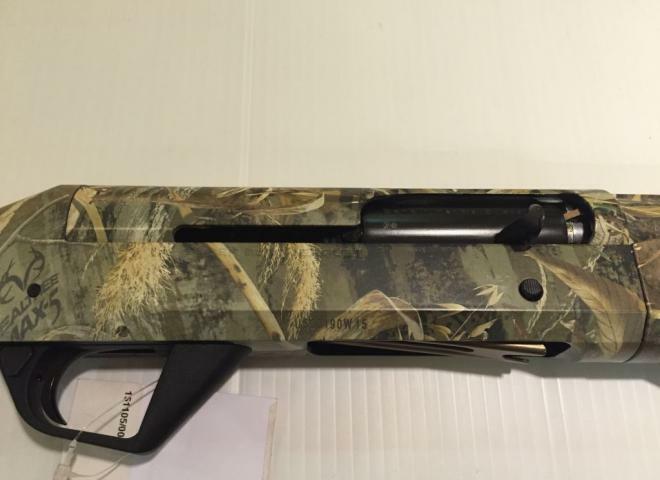 New Fabarm L4S Black Hunter with all black receiver and fitted with nice strong grained wood. Very nice boxlock retaining much of the original case colour. In very good condition. 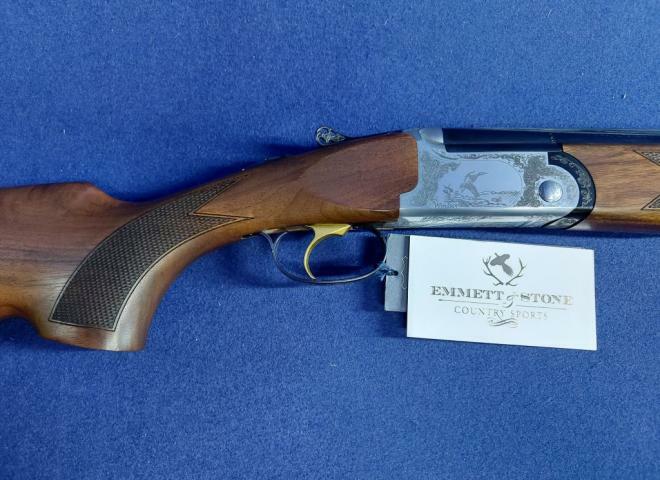 The long awaited Invictus V. This is a brilliantly made gun with stunning engraving and wood work. Single selective adjustable trigger, ejectors, engraving finished by hand, ventilated tapered top rib. 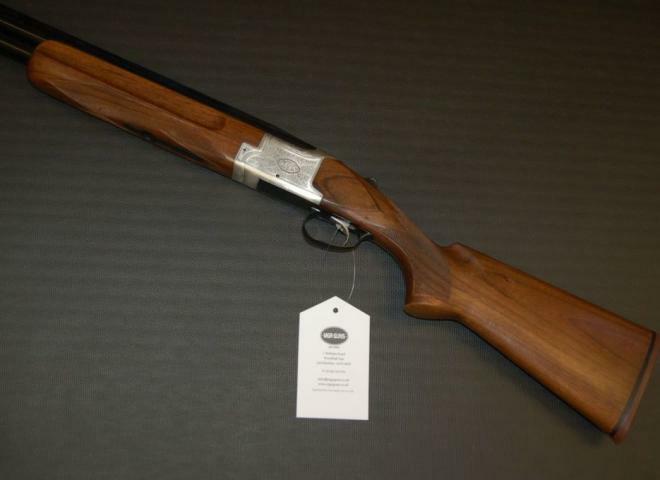 Benelli 12 gauge 828U Silver 30"
PLEASE PHONE FOR OUR BEST CASH PRICE !! 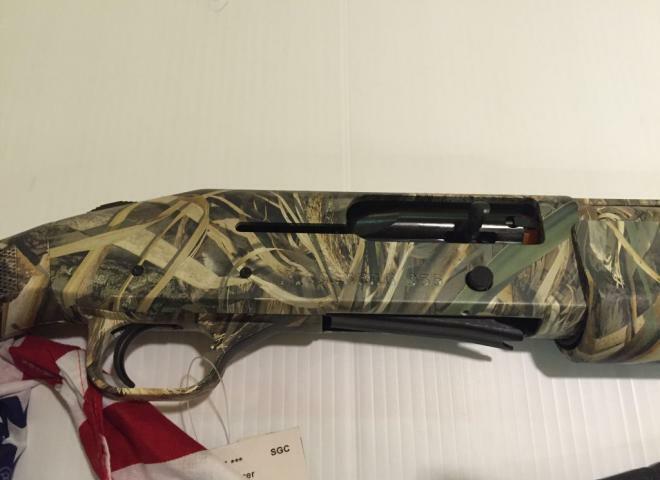 Excellent New lightweight over and under from Benelli and now available in 30". Supplied with a set of 5 internal Crio chokes. A very nice gun or the price. 3 shot pump action ideal for all round use, high quality for low cost. 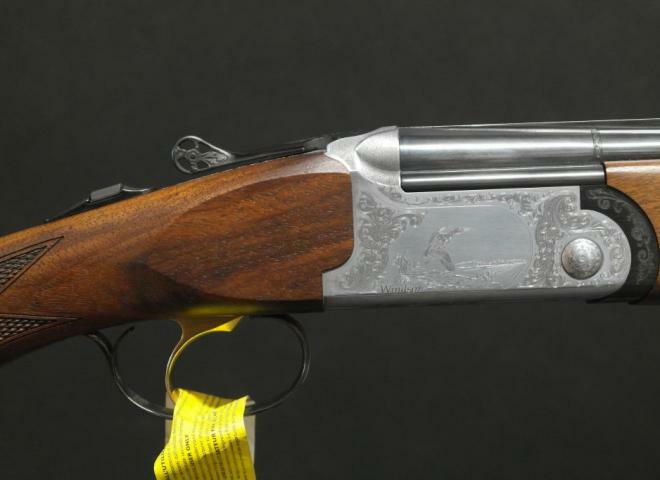 PARKER HALE M900 12G SEMI AUTOMATIC SHOTGUN. I cannot actually recall the last time I saw one of these so for any avid collectors out there here is your chance. 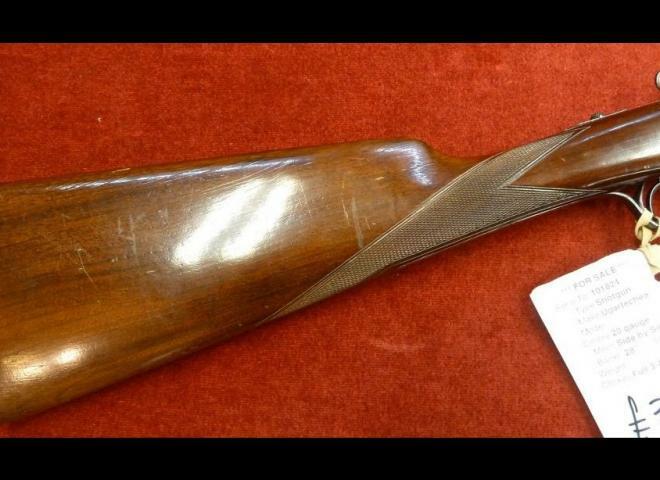 Complete with makers case and all chokes, shims, gun lock etc, great price for this grade 2 Browning. Ideal lightweight Game Gun. 30" barrels with 5 chokes. Steel shot proofed, single trigger, Automatic safety, Full size Pistol Grip stock. 3 year warranty.